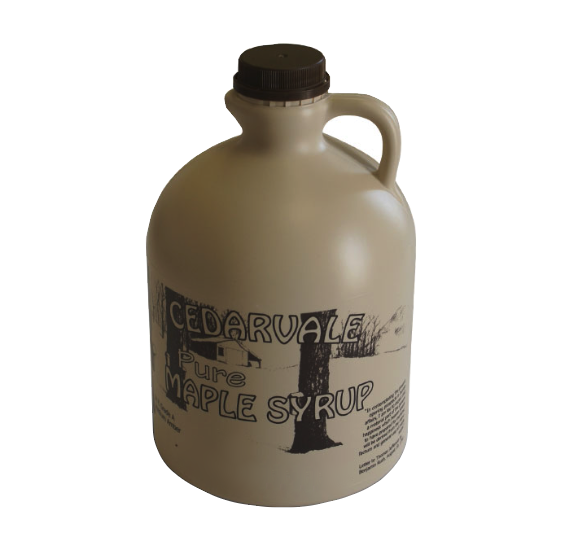 This syrup drawn from the hillsides of Pumpkin Hollow reflects a production process discovered and practiced by the Five Tribes of the Iroquois Nation. It was these Native Americans who passed along the first settlers the secret of gathering this unique delicacy. Until the Civil War, Maple sugar was the primary sweetener used in our colonial kitchens. Then, a growing population, influenced by European taste and practices, began asking for cane sugar which ultimately reduced the work-horse role played my the Maple. Our technology has continued to advance. However, no technocrat has been able to effectively reproduce the distinctive flavor of pure maple syrup. It is the same exact product today as that enjoyed by our forefathers. A unique characteristic of pure Maple permits it to be kept for months without any chemical additives of any kind. It cannot be over emphasized that “Pure Maple” is all Maple and only Maple.